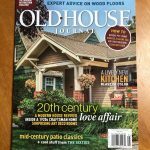 The Minneapolis community knows that Ground One provides a one-stop-shop for innovative design and quality landscaping. We provide innovative landscaping services from our design team including landscaping design, master planning, technical expertise, exceptional stonework, carpentry and project management. 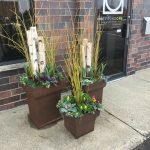 We also include outdoor services such as garden enhancements, seasonal containers, annual plantings, patios, walks, decks, lawn care, water features, and home exterior. As a proud member of the Minnesota Nursery and Landscape Association (MNLA), we are looking forward to be your one stop shop for all your landscaping dreams. This striking home in Minneapolis’ Tangletown neighborhood required an equally-compelling custom landscape. Built around its proximity to and relationship with water, Minneapolis is a diverse and eclectic global city with a rich history reflected in its beautiful, unique neighborhoods. 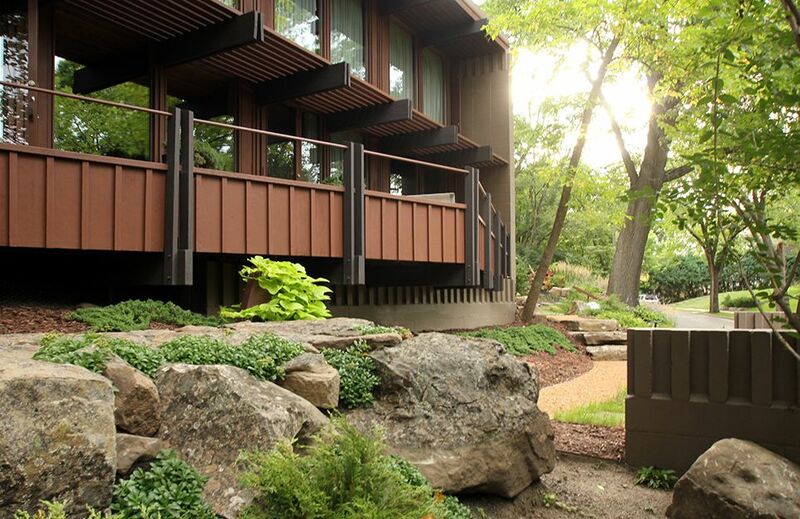 A city internationally recognized for its artistic culture, these artistic influences can be viewed in the beautiful Tudor style homes juxtaposed with modern structures that line Cedar Lake, Lake of the Isles, Bde Maka Ska (formerly Lake Calhoun), Lake Harriet, and Lake Nokomis. Our Ground One design teams have created a variety of customized outdoor spaces that reflect the vibrant lifestyle and modern outlook of the City of Lakes. A backyard in the historical Lynnhurst neighborhood is transformed into an intimate entertaining enclave featuring multiple sitting areas, custom water decor and a cozy fireplace. The backyard of this Lynnhurst neighborhood home in Minneapolis has multiple sitting areas and custom water and fire features. 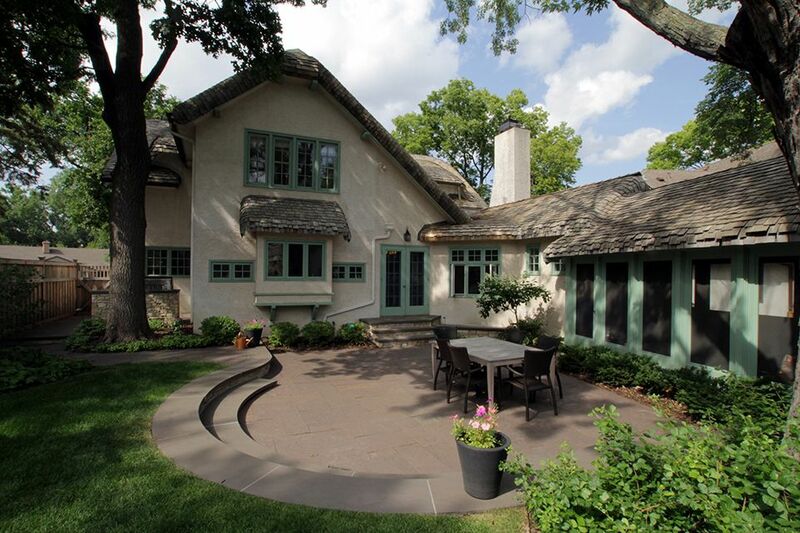 This cottage house in Minneapolis’ Calhoun-Isle neighborhood now has an equally-magical sunken stone terrace. A stunning sunken stone terrace in the Calhoun-Isle community enriches the cottage house motif and provides ample outdoor living space for gathering family and friends in the middle of the city. The Nokomis neighborhood is traditionally one of the of most sought after neighborhoods. Ground One transformed this once standard backyard into a homey yet elegant retreat of quiet urbane sophistication. 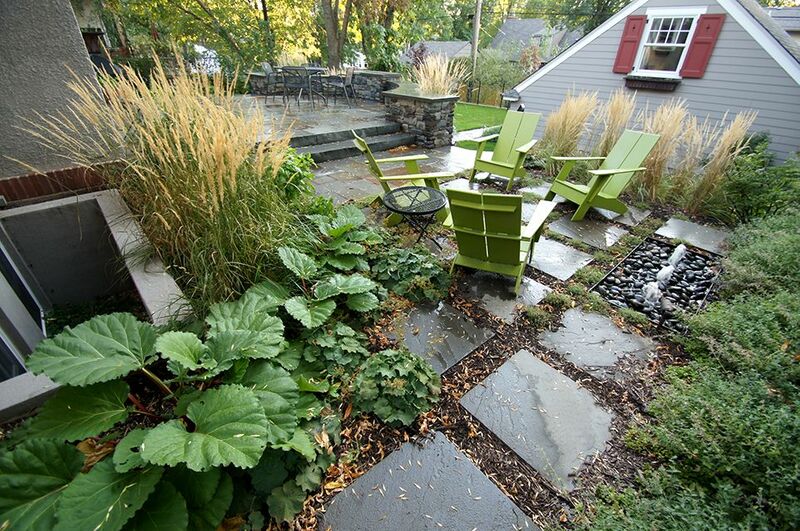 A quiet urban oasis now resides in this Minneapolis backyard in the Nokomis neighborhood.